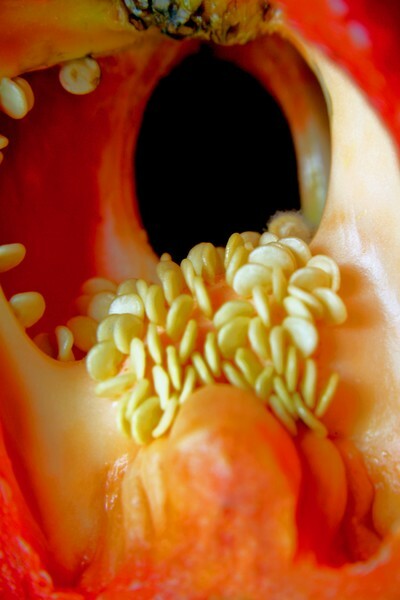 Capsicum seeds appear to stampede their way from the darkness...scardy cats!! HAHAHAHAHAHA LOVE IT. FASCINATING IMAGE, ROB. Gruesomely lovely...all I can think of is...oh never mind, Rob, if you want to know my first thought upon seeing this before reading your caption, ask me...LOL!